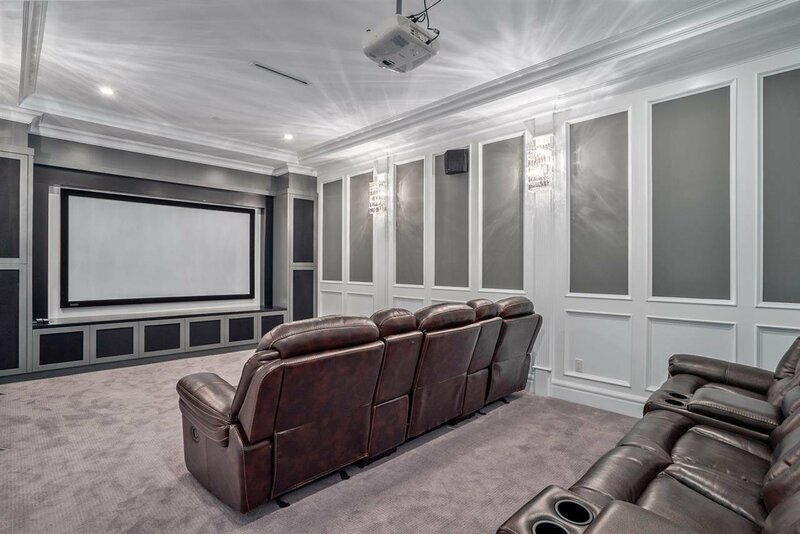 Beautiful custom built home in the Mackenzie Heights area, sits on a 50' x 130.5' (6525 sqft) lot. 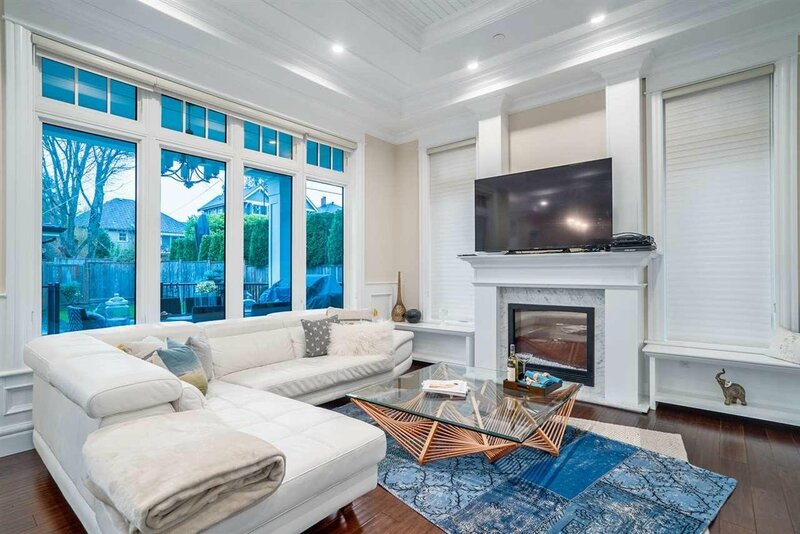 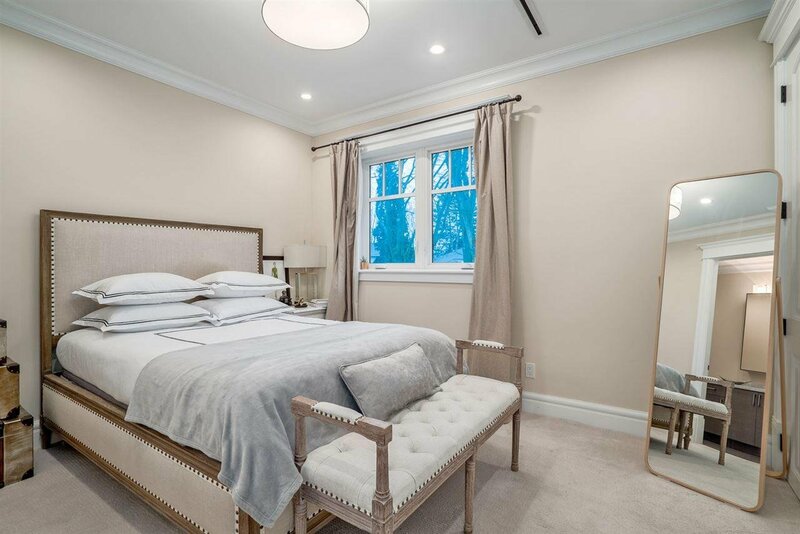 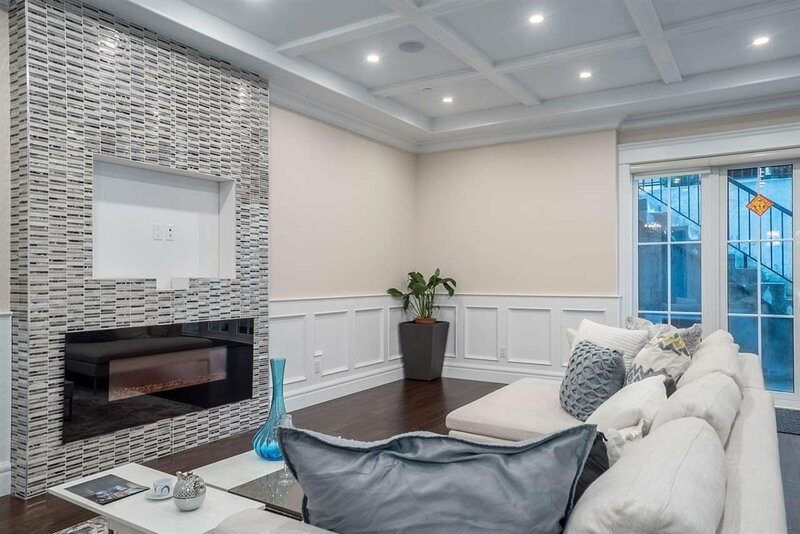 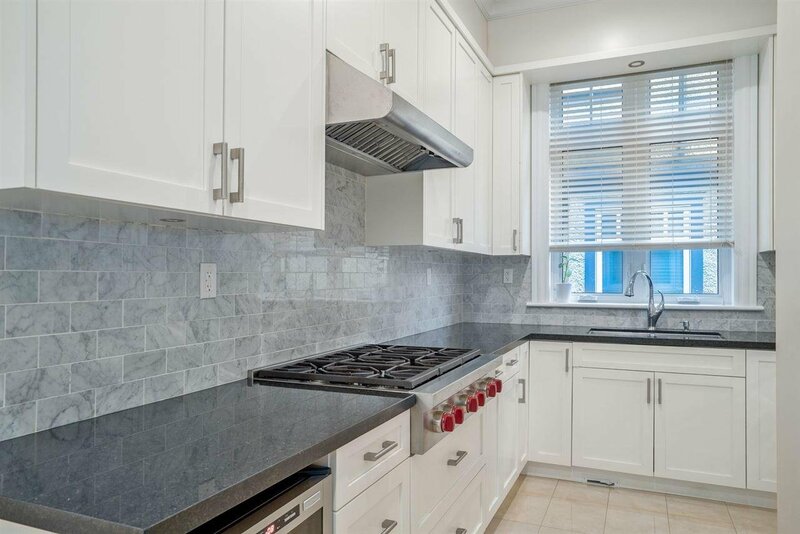 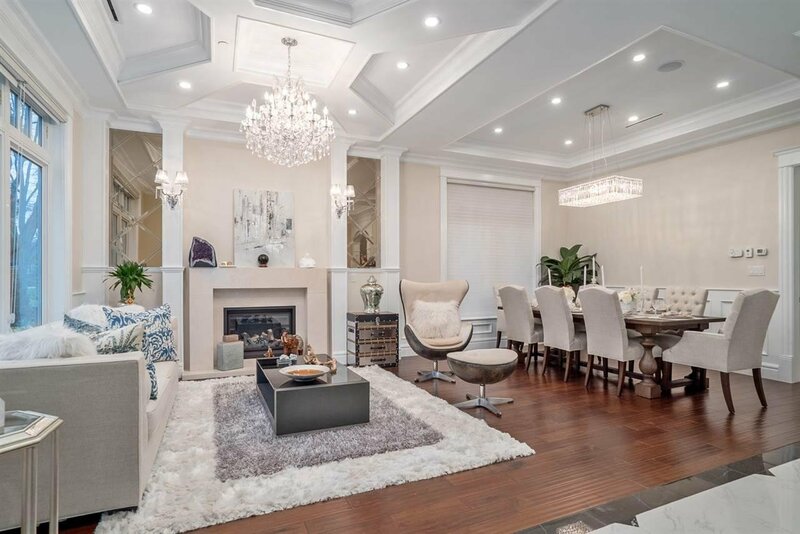 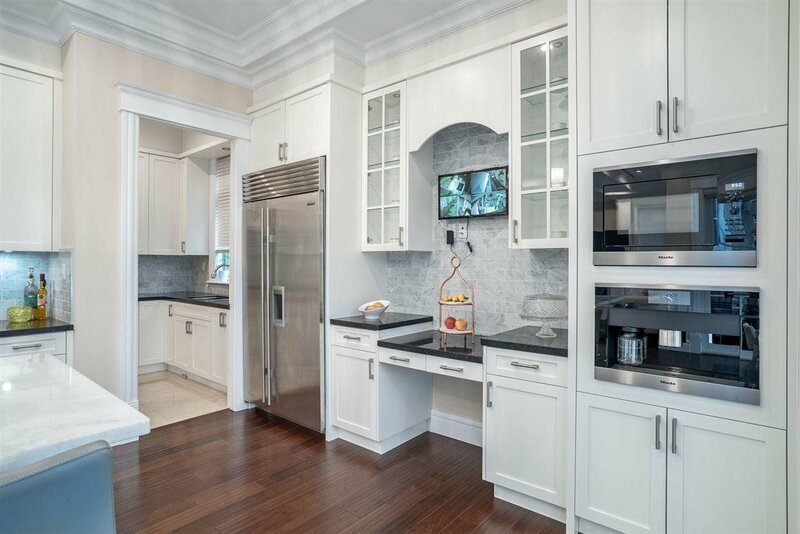 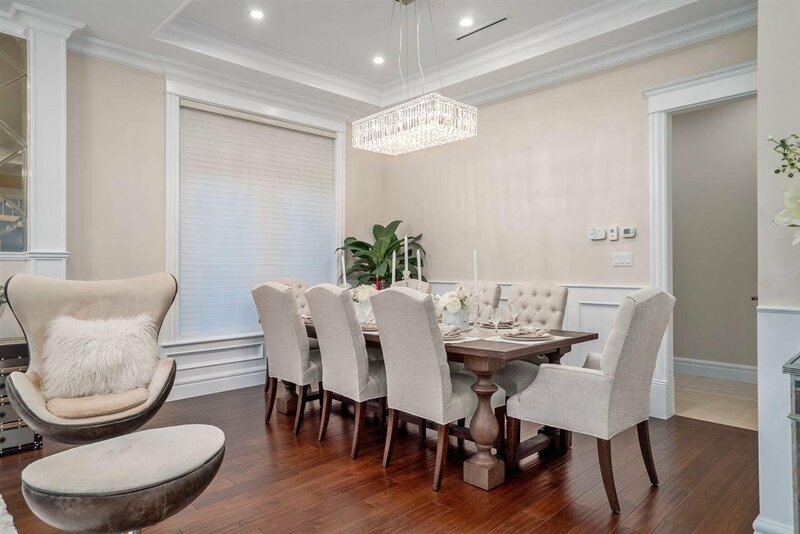 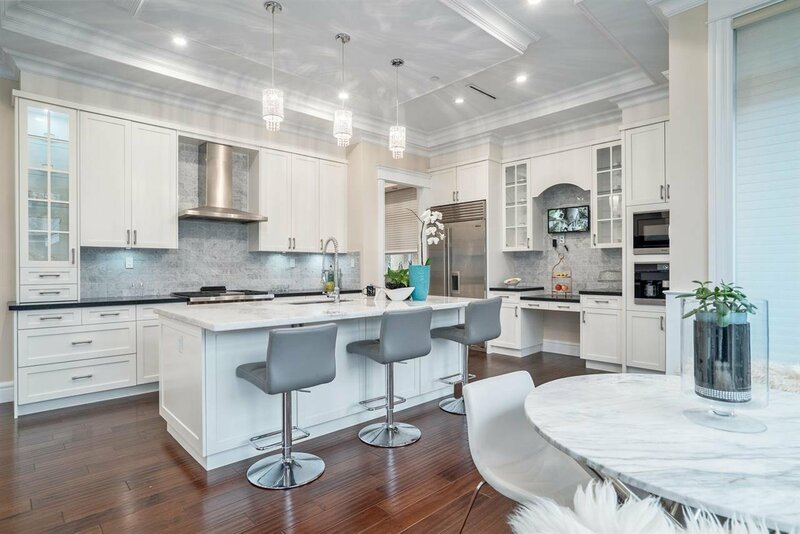 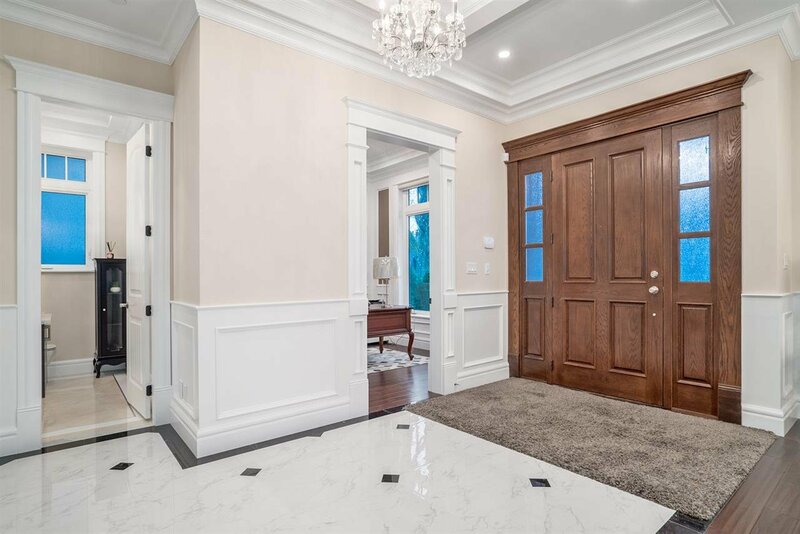 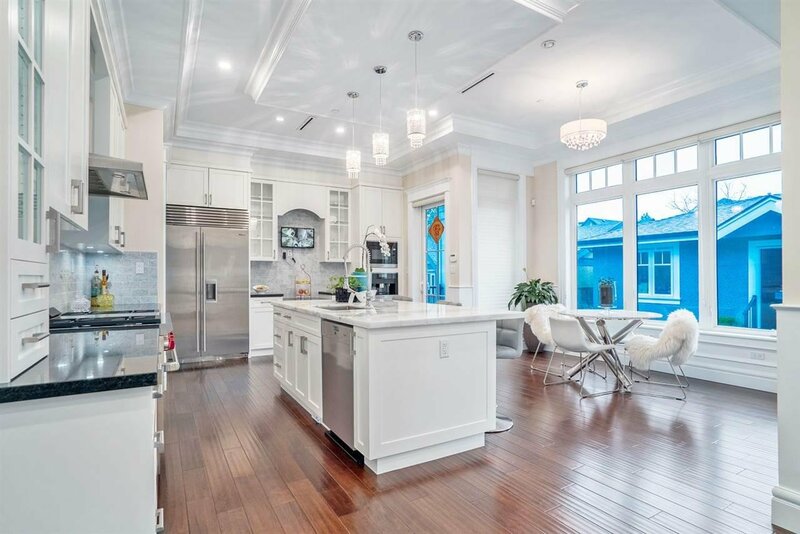 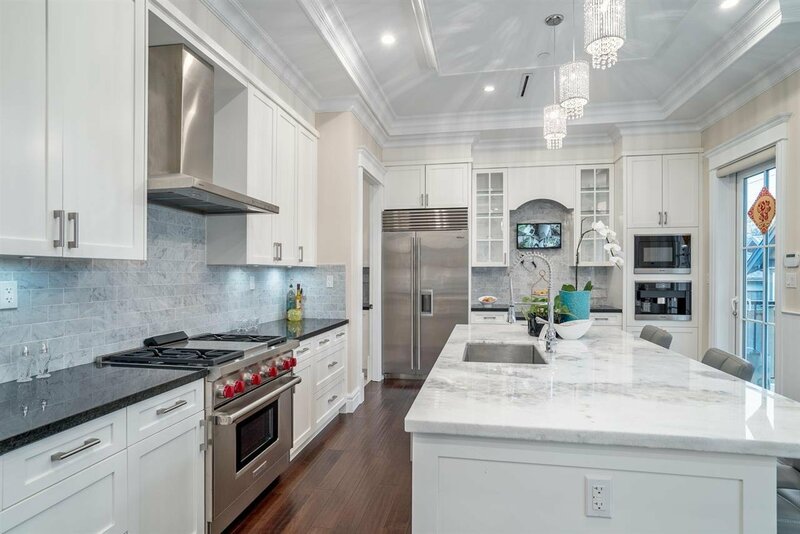 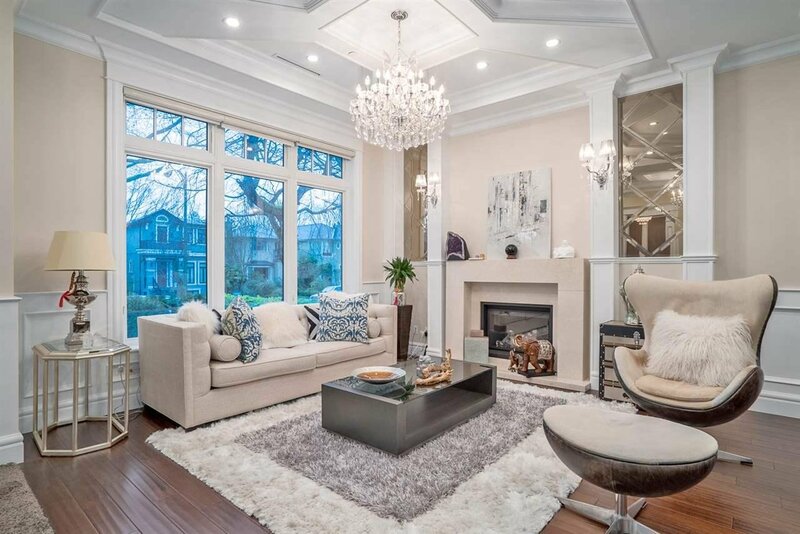 This home boasts over 4600 sqft living space, 11' high ceilings, exquisite crown moulding & wainscotings, hardwood flooring, gourmet kitchen & huge wok kitchen w/high-end S/S appliances, granite & marble countertops, central air conditioning, HRV, radiant floor heating. 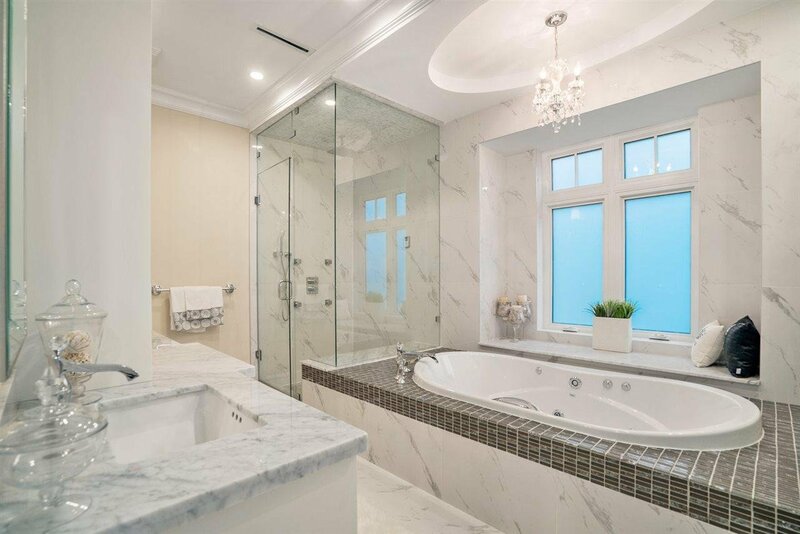 4 bedrooms upstairs, all ensuites. 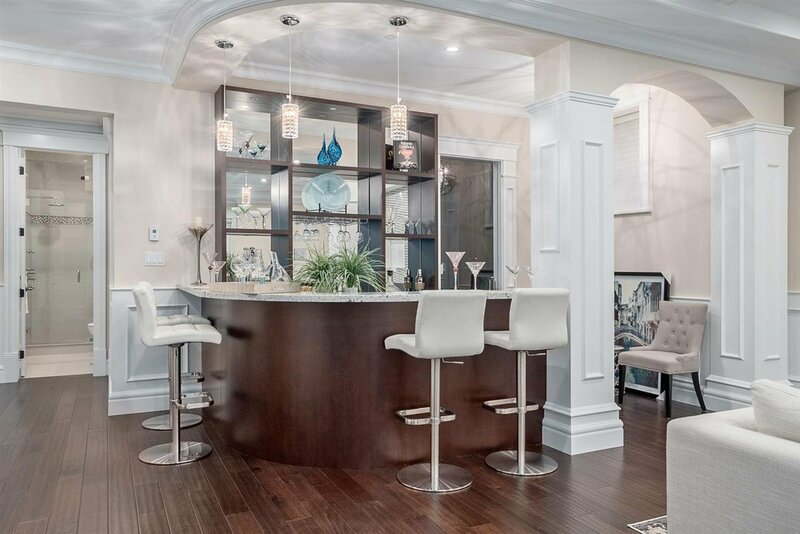 Basement has large recreation room with wet bar, wine room, media room and a guest bedroom. 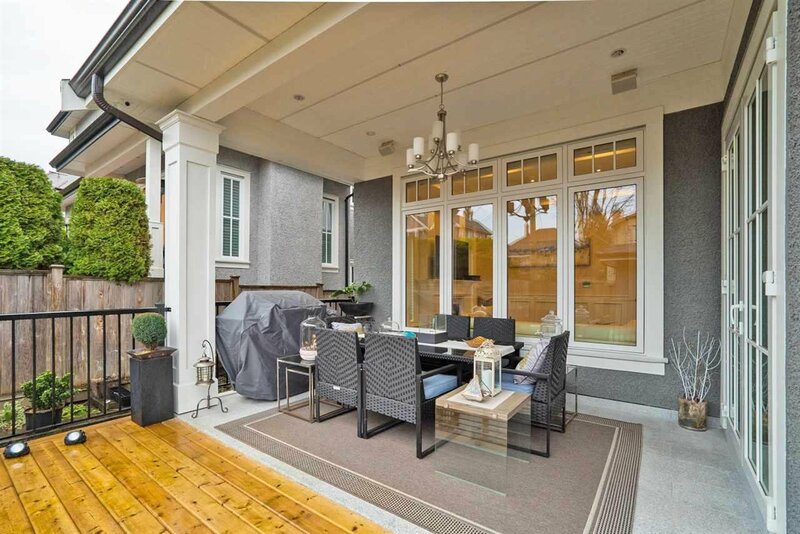 Huge deck at the back, great for entertaining, private backyard & 3 car detached garage. 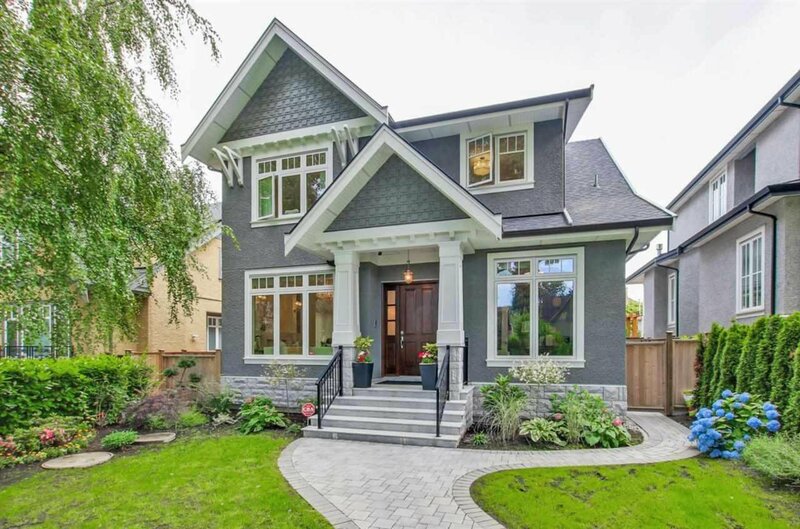 Steps to Balaclava Park and close to Kitchener Elem and Prince of Wales Secondary catchments. 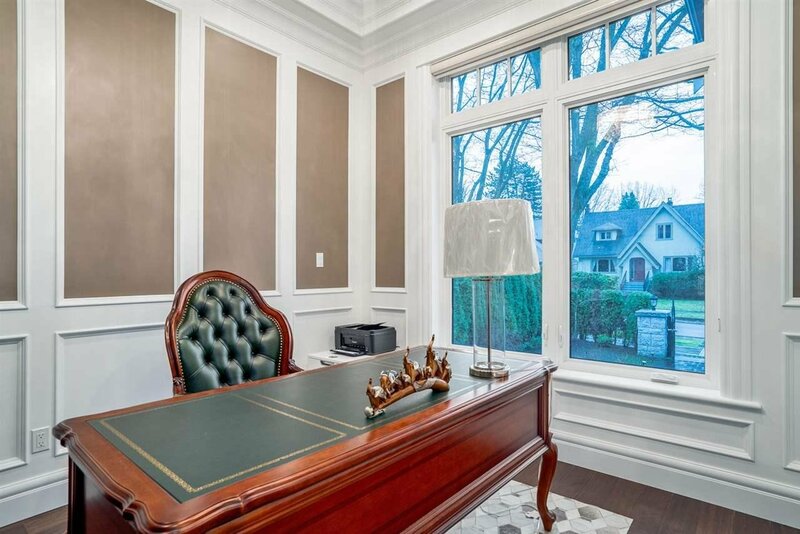 Mins to UBC, St. George and Crofton private schools.